Today’s world of data protection and governance is awash with talk of machine learning and automation. But what about the role of the human in security, isn’t this being overlooked? 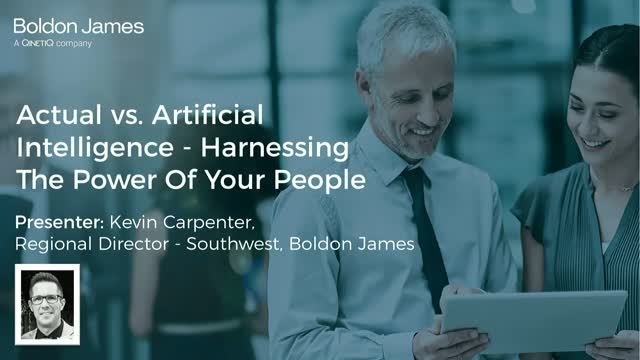 Join this interesting and insightful webinar with recognised speaker and author Bruce Hallas and data security expert Martin Sugden, CEO at Boldon James, who will explore how organisations need to empower the user and go beyond training and education to ensure human behaviours are positively influenced to deliver real security and business value. Join Raymond Kelly our Account Director for Defence, Intelligence and NATO in a short video explaining the uses of military messaging, how the military messaging market is changing and what Boldon James are doing to stay at the forefront of it. Boards of Directors who are highly engaged in security conversation, understand and enforce data classification policy because they understand that failure to strategically manage information creates more risk. Not everyone elevates data classification policies to the board level, but they should. Legal liabilities, cyber-insurance, regulatory requirements and financial investments are all driven by the lifecycle management of information. This level of dependency on classification of data means the discipline is not just an IT policy. It is corporate policy that requires the entire organization’s participation and ownership. Join Renee Murphy, Principal Analyst, Security and Risk Management at Forrester, and Martin Sugden CEO at Boldon James, for a spirited conversation about the business need for classification and data lifecycle management to better manage operational risk. How Data Classification can help support your Data Governance and Protection Initiatives. Enterprises around the globe are creating and storing vast amounts of data as part of their daily business. Without classification of that data, enterprises are at risk of internal or external breaches of data. What’s worse, enterprise managers are working far harder than they need to without even knowing it. Join guest speaker, Forrester Principal Analyst, Renee Murphy and Martin Sugden, CEO, Boldon James for a fun and lively conversation about data classification challenges and solutions for leveraging data classification across the enterprise for better technical operations management. If you are a CISO who has been told to do data classification, this webinar is for you. Data classification is no longer a nice to have – it is a necessity – particularly with new data protection regulations like the GDPR just around the corner. Join us for this webinar featuring guest speaker Sue Robinson from Aspen Insurance, who have recently implemented a best-of-breed data classification solution across their organisation globally. You’ve heard it over and over again how securing the network, applications and devices is just not enough. Focusing only on stopping break-ins to your network leaves your data vulnerable when an intruder finds a back door way in. But what happens when your data leaves the front gate to conduct business with contractors, suppliers, partners, etc. Overview video on controlling sensitive information being uploaded to cloud storage, protecting non text based documents such as CAD drawing files and how McAfee's ePolicy Orchestrator (ePO) works with Classifier. Using Classifier together with McAfee DLP can help your organisation, improve DLP accuracy and reliability, increase visibility of security threats, leverage user knowledge, increase user engagement and raise user awareness. Featuring STEALTHbits and Boldon James. For many organizations, classification of legacy content presents a difficult challenge to overcome as well as being a critical compliance issue. Now there is an easy solution. Join us to learn how integrating Boldon James Classifier with STEALTHbits’ solutions enables organizations to automatically identify and tag legacy documents, making users fully aware of data sensitivity and compliance requirements (e.g. GDPR, NYDFS, NIST, CUI etc), meaning appropriate security policies are enforced on classified content such that only the right people have access to the right information. Are you struggling to meet, and demonstrate that you are meeting, regulatory requirements (such as the GDPR)? Is your data security solution landscape becoming increasingly complex and disconnected? If the answer to any of these questions is yes, then data classification can help.